Elections kicked off in Southern Kordofan today, a tense Sudanese border state that is host to a variety of armed actors, teeming with discontent among the population, and a competitive political scene divided between the ruling northern and southern parties, or the NCP and SPLM. Amid these dynamics, experts are warning about the potential for electoral-related violence to flare, as well as the effect that such a fragile situation may have on the vote itself. 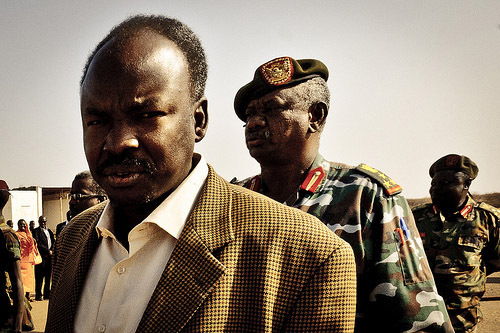 Last month, the home village of the SPLM candidate for governor Abdelaziz al-Hilu was allegedly attacked by militias, leaving 29 dead and 350 structures razed. Although in isolated areas, security incidents have undermined the quality of the electoral process due to limitations on freedoms of assembly, speech, and movement and the security of the person. […] [I]t is critical that the Government of Sudan, Government of Southern Sudan (GOSS), state authorities, political parties, and other stakeholders work together to diminish tensions in South Kordofan, refrain from negative campaign rhetoric, and promote peaceful participation in the electoral process. U.S. envoy to Sudan Princeton Lyman was in the state capital Kadugli on Monday to observe the first day of voting. In remarks to the media, the envoy noted the importance of the exercise not only for Southern Kordofan for all of Sudan. Votes are being cast for Southern Kordofan’s governor and legislative seats. The NCP-backed candidate for governor is International Criminal Court-alleged war criminal Ahmed Haroun who is the current state governor. According to The Carter Center, over 700 domestic observers and 60 internationals are observing the process. Over the weekend, the head of the U.N. peacekeeping mission in Sudan Haile Menkerios also visited the state to call for a peaceful vote. “I told the two candidates and the security committee that there is tension and apprehension in the state and that everything should be done to ensure the security of the election,” he said at a press conference in Kadugli. Ballots are scheduled to close Wednesday, with results projected to be released early next week.